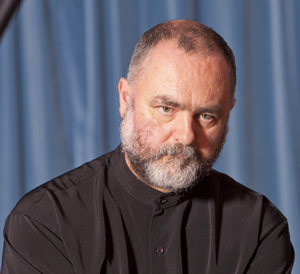 Malcolm Proud won first prize at the Edinburgh International Harpsichord Competition in 1982. He has performed at all the major Irish festivals and has toured Finland, Denmark, Holland, U.K., Switzerland, Germany, France, Italy, U.S.A., Japan, Canada, Estonia, Latvia, Belgium, Austria and Portugal. In 2016 he gave harpsichord recitals at the National Concert Hall in Dublin, at Fenton House in London playing the Queen’s 1612 Ruckers, at the Cobbe Collection of Historical Keyboard Instruments in Hatchlands, Surrey, and at Handel House in London. Organist of St. Canice’s Cathedral in Kilkenny, his CD of Bach’s Clavierübung III recorded on the Metzler Organ at Stein am Rhein in Switzerland was released in 2008 on the Maya Recordings label. In 2010 Malcolm Proud played all six of Bach’s Brandenburg Concertos with Sir John Eliot Gardiner’s English Baroque Soloists at the London Proms and the Schleswig-Holstein Festival in Germany. He is co-founder with Swiss violinist Maya Homburger of Camerata Kilkenny and has performed concertos with the Academy of Ancient Music and the European Union Baroque Orchestra. Malcolm Proud is supported by Music Network’s Music Capital Scheme, funded by The Department of Arts, Heritage and the Gaeltacht. Music Network is funded by the Arts Council. Malcolm Proud won first prize at the Edinburgh International Harpsichord Competition in 1982. Since then he has made a career as a harpsichordist and organist giving solo recitals at all of Ireland's leading venues and festivals including the Kilkenny Arts Festival and the West Cork Chamber Music Festival. He has toured Finland, Denmark, Holland, U.K., Switzerland, Germany, France, Italy, U.S.A., Japan, Canada, Estonia, Latvia, Belgium, Austria and Portugal. In London he has played at the Wigmore Hall, the Queen Elizabeth Hall, the Barbican and The Purcell Room, and in Oxford at the Sheldonian Theatre and Holywell Music Room. He has also performed at the Tonhalle Zurich and Schloss Schönbrunn Vienna. This year he will give harpsichord recitals at the National Concert Hall in Dublin, at Fenton House in London playing the Queen's 1612 Ruckers, at the Cobbe Collection of Historical Keyboard Instruments in Hatchlands, Surrey, and at Handel House in London. Organist of St. Canice's Cathedral in Kilkenny, Malcolm Proud has performed on many historic organs such as the 15th century instrument at Valère-Sion in Switzerland, the 1565 Antegnati in Mantua, the 1610 Compenius at Frederiksborg in Denmark and the 1766 Riepp at Ottobeuren in Germany. In the U.S.A. he has given organ recitals in Boston and Virginia. His CD of Bach's Clavierübung III, recorded on the Metzler Organ at Stein am Rhein in Switzerland was released in 2008 on the Maya Recordings label. In 2010 Malcolm Proud played all six of Bach's Brandenburg Concertos with Sir John Eliot Gardiner's English Baroque Soloists at the London Proms and the Schleswig-Holstein Festival in Germany. He is harpsichordist with the Irish Baroque Orchestra and co-founder with Swiss violinist Maya Homburger of Camerata Kilkenny. Other leading period instrument groups with which he has performed include the Orchestra of the Age of Enlightenment, the Academy of Ancient Music and the European Union Baroque Orchestra. He has toured Japan in a production of Monteverdi's opera Orfeo with Mark Padmore in the lead rôle and performed with the Chandos Baroque Players in the USA and Canada. He works regularly with Chamber Choir Ireland, Resurgam, Sestina, the Calmus Ensemble from Leipzig, as well as with Dutch soprano Lenneke Ruiten and Swedish/Irish soprano Maria Keohane. Malcolm Proud is supported by Music Network's Music Capital Scheme, funded by The Department of Arts, Heritage and the Gaeltacht. Music Network is funded by the Arts Council.